Four color printing for the price of one, is standard on all plastic products. You can personalize the front and back of your card. 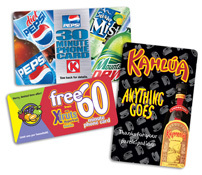 Options include bar codes, magnetic stripes, write-on surfaces, adding a personal picture or having a scratch-off panel. Contact Plastic Works for more info. 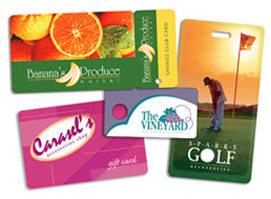 Whatever your promotional needs, Phone Cards are one of the most versatile and powerful marketing tools. Customers value phone cards, and in turn keep them in their wallets, creating continual reminders of your products and services.